Full disclosure: I’m a huge Colts fan. I love Peyton Manning. Conversely, I’m not particularly fond of the Patriots or Tom Brady. Because of this, I thought that this would be a good time to discuss what I call “The Championship Myth”, essentially the fact that many people overrate the act of winning a championship when evaluating players, especially quarterbacks. Last weekend, the Patriots–who finished the regular season 14-2 and as the top seed in the AFC thanks in large part to likely-MVP Tom Brady and the NFL’s #1 offense–were upset at home by the Jets. Following the game, there were numerous articles written about how Brady choked or was otherwise blamed for the disappointing loss. Let’s look at why this is an over-exaggeration at best and downright wrong at worst. People tend to react to an outcome retroactively as if it were a certainty, when we live in a world of probabilities. Brady started his postseason career a perfect 10-0, but is just 4-5 in his last 9 games. Did he instantly turn from a clutch performer into a middling playoff QB? No, it is much more likely that Brady was simply the recipient of some good luck early on (think the Tuck Rule game) and the victim of bad luck more recently (two words: Helmet Catch). Especially in the playoffs, when only the best teams (2010 Seahawks excluded) are still remaining, most games are near toss-ups. The team that ends up surviving the chaotic one-and-done nature of the NFL playoffs is as much lucky as good. When Brady and the Patriots take the field, they have some probability of winning. The fact that he opened with 10 straight victories in the postseason is remarkable and certainly partly due to the strength of both his and his team’s play, but also strongly affected by random chance. Team sports are the result of multiple players working together. In basketball, the impact of a single player is likely the largest of any major team sport, but as the Cleveland Cavaliers of the past few years have showed, not even LeBron James can win a championship without support from his teammates. Football is the ultimate team game, where the impact of a single player is limited more than any other sport. In the NFL, dividing up team credit amongst the contributers shows the limit of a single player’s impact. You have 22 starters and 53 total players, all of whom play only on one side of the ball and thus cannot even affect half the game. You also have coaches, special teams, and outside influences like home field advantage and weather. Start divvying up credit and you can see how even the QB, likely the most influential single position on average, is going to end up well below 50%. Crediting wins and blaming losses solely on one player is a lazy shortcut that ignores the factors surrounding each player. I have already touched on how randomness alone can affect an outcome. Now we see how tangible factors such as teammates, coaches, and opponents are also responsible for the final result of a game. Just two weeks ago, Peyton Manning led the Colts down the field for a field goal to take the lead. Had that lead held, he would have received a disproportionate amount of credit for “willing” his team to victory, despite the fact that his line blocked, his receivers caught passes, and Adam Vinatieri made a field goal from over 50 yards out. Of course, Antonio Cromartie returned the ensuing kickoff near midfield and the Jets ended up pulling out the victory. Manning didn’t even step on the field, yet went from hero to goat in under a minute. The answer, of course, lies somewhere in the middle. The main goal of a quarterback is to help lead his team to victories and, ultimately, championships. The key in evaluating the effect they had in their team’s wins and losses is understanding that they do not perform in a vacuum. To some extent, we all understand this. Very few people will argue that Trent Dilfer (one ring) was a better QB than Dan Marino (zero rings). What we do is end up oversimplifying, and incorrectly assigning too much credit for wins and championships. So, fine, then how do we evaluate players, specifically quarterbacks? How much credit should they receive? How much credit goes to the rest of the team? How much is simply randomness? I plan to look in depth at all of these questions. Is Tom Brady the best QB in the NFL this season? Some may think so, some may disagree. Just don’t tell me he’s not because his team failed to win the championship. That’s a myth. Godfather, something tells me you are biased. Nice post…if I have to hear Colin Cowherd talk about QBs and their playoff records one more time, I will throw up on my car’s steering wheel. Can someone please show this to him??? Time for the ‘Herd’ to be enlightened. True, the coach is another factor in this, and the Patriots could have one of the best. My cat smells like cat food……on another note. Monte you are the man. Keep these blogs coming. I might actually start reading because of you. I was so impressed with the Welcome post and then you top it with the Championship Myth…can’t wait til the next post! Great post Monte. I agree, championships don’t determine a great qb. Conversly, you cannot be the greatest without a ring(and Dan Marino is my favorite player of all time). 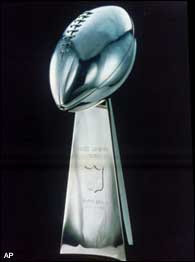 If Tom Brady were to win another superbowl he would have to be in consideration for best of all time, no? The first thing mentioned in the argument for greatest of all time are the number of superbowls won, ala Joe Montana. Championships are more of a measurement between great and greatest. Joe, that’s exactly the trap I’m warning against here. How much of the 49ers’ championships were the result of his play? Certainly not 100%. They had a great coach in Bill Walsh, elite defenses, and, of course, the greatest WR in NFL history in Jerry Rice. Would he have won all those Super Bowls without those teammates? Conversely, would somebody like Marino have won some Super Bowls with that supporting cast? Think about John Elway. Many people rank him highly, and much has to do with his 2 Super Bowl rings. But Elway didn’t win them until the final two years of his career, when he was on the downside of his career, and the offense was reliant on Terrell Davis and the running game. We need to consider the context of a player’s achievements. In future posts, I’ll look at some ways we can do this. Great post and topic. Way too much credit is given to championships (while important) when grading quarterbacks. I feel like the obvious choice, # of MVPs, is usually overlooked when it’s THE measure of an individual’s performance. There’s a reason why Peyton has the most MVPs ever, because he’s consistently the best player around. After him Jim Brown (I know, a RB), Johnny U, and Favre have the most and it’s tough to argue that those four wouldn’t be considered the greatest of all time. Monte, do you have any stats to back up what I think is your premise that Brady has played equally well in playoff games over his career, but because of randomness he’s lost 4-5 over his last 9? Love the article, it will certainly spur some debate. As a fellow Dan Marino lover, I would love to see some support for his cause. In my opinion Dan The Man did more with less than any QB in history. He consistently had no help in the backfield and a mediocre defense to boot. The guy put up astronomical stats with sub-par teams year in and year out. Do that number crunching for me stat nerd and holler back.